In Brief: In book design we have to decide which style of pagination to choose. This article presents both so you can make an informed choice. People often seem to divide themselves neatly into two camps: shirts versus skins, innies versus outies, grow it out versus shave it off. And so it is in book design. There’s one decision every book designer has to make on most every book of prose they work on: squared-off pages versus no widow or orphan lines. Okay, you need to know what “squared-off pages” and “widows” and “orphans” mean when talking about book pages, so let’s look at those first. Text consists of letters built into words, which are strung into sentences sequenced into paragraphs. There are probably about 90 words in a typical paragraph. That means in a manuscript of 75,000 words you will be dealing with over 800 paragraphs and 5,000 line endings. Now some people hate these widows and orphans, and they will do anything to get rid of them. And since they don’t look very neat and tidy, you might think that’s a good idea. But wait! There’s another entire group of people who, although they don’t like widows and orphans either, prefer them to the alternative. What happens when you eliminate the widows and orphans? You lose your squared-up pages. Here is a spread from a book. Notice that the widows and orphans have not been changed, and the right-hand page has an orphan line at the top. You can see here I’ve instructed InDesign to keep at least 2 lines together at the beginning and end of paragraphs. This will eliminate all widows and orphans. So why isn’t everyone happy? You’ll see that there is no longer an orphan line at the top of the right-hand page. But the line that moved there to keep the orphan company had to come from somewhere, and it left a space at the bottom of the left-hand page. We now have a different number of lines on these two pages, and they are no longer “squared off” at the bottom. For many years I preferred this second method of pagination for the books I worked on, unless a client specifically asked for squared-off pages. I don’t like the way widows and orphans look, and the way they make spreads look untidy. Book designers don’t like untidy books. Recently I’ve become more flexible and now do many books with squared-off pages. I find the disturbance of the occasional widow or orphan less bothersome than that missing line at the end of the page. When it comes time to do the layout and pagination of your book, you or your book designer or the personnel at the company you’ve hired to typeset your book will have to make this decision. And you’ll be ready to decide which part of the world of book design you belong to: with the widows and orphans and squared-off pages, or banning widows and orphans altogether. 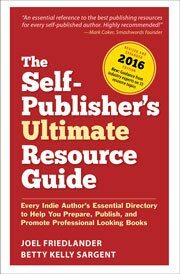 As a self-publisher, it’s one more thing you get to decide. Which one will it be? Years ago (maybe on my college newspaper) I learned that an orphan was the lonely entity at the bottom of a page, and the widow is at the top. To remember this, I visualize the “widow’s walk” at the TOP of old seaside homes. I found this fascinating because when I learned this nomenclature long ago it was the exact opposite. It was the widow at the bottom of the page (always a full line) that had been “abandoned” and left behind, while the orphan (always a short line, since it’s the end of the paragraph) that had been left without the rest of its “relatives” and forlorn at the top of the page. In typesetting, widows and orphans are words or short lines at the beginning or end of a paragraph, which are left dangling at the top or bottom of a column, separated from the rest of the paragraph. There is some disagreement about the definitions of widow and orphan; what one source calls a widow the other calls an orphan. However, Chicago Manual of Style prefers Michael’s usage, and readers should be aware of that. I’ve at times resorted to dropping an entire file to plain text, just to completely scrub it of formatting codes. However, if you have a book-length manuscript with italics throughout, I would not do this. And keep in mind both Word and InDesign have very powerful Search/Replace functions, so you can find and change all those hard returns without having to massacre the file. For my upcoming nonfiction book, I minimize orpjans and widows, by adjusting the spacing between paragraphs. My default is 12 points, but for a page in need of extra care, I will make the paragraph spacing 6 points or 18 points. I think this is a good compromise between having orphans and extra space at the bottom of the page. Sure, it is not uniform, but the change is subtle for say 10% of the pages. The reader is focused on reading and is unlikely to be that discriminating with such a design detail. I’m sorry to disagree, but in my opinion varying the space between paragraphs (assuming you are using the “block style” of paragraphing) is not a solution, because you introduce inconsistency into the book. This creates an interruption for the reader and is unnecessary in any event. Rombout, it is an interesting situation. I mentioned above (see the paragraphs that start with Ed:) that some sources define these terms one way and other sources a different way. Thanks, still makes it fuzzy why they being mixed up isnt it? Yes, it’s a mystery and probably will remain so. The important thing is to make sure your typography is up to the task, no matter what you call those stray lines.